WIP CAL/KAL – Day One! Welcome to Day One of the WIP CAL/KAL! I’m glad you are here and I look forward to all the stitching goodness we will finish over the next three months. email me at the gmail address listed earlier with your name, completion date for your project, and a picture of the finished item. Once I have received both the starting comment (on this blog) and the completion comment (on a future blog), you will be added to the list for that month’s drawing. NOTE: If you are looking to earn extra entries by making hats for Halos of Hope, you need to comment on this blog with your name and the statement that you will be crocheting and/or knitting a hat / hats, then when you complete your hat(s), send an email to the gmail address with your name and a picture of each finished hat. I will email you back with an address of where to send the hats, and will add you in for that month’s drawing. So, all this talk of a drawing and what will be the prize? 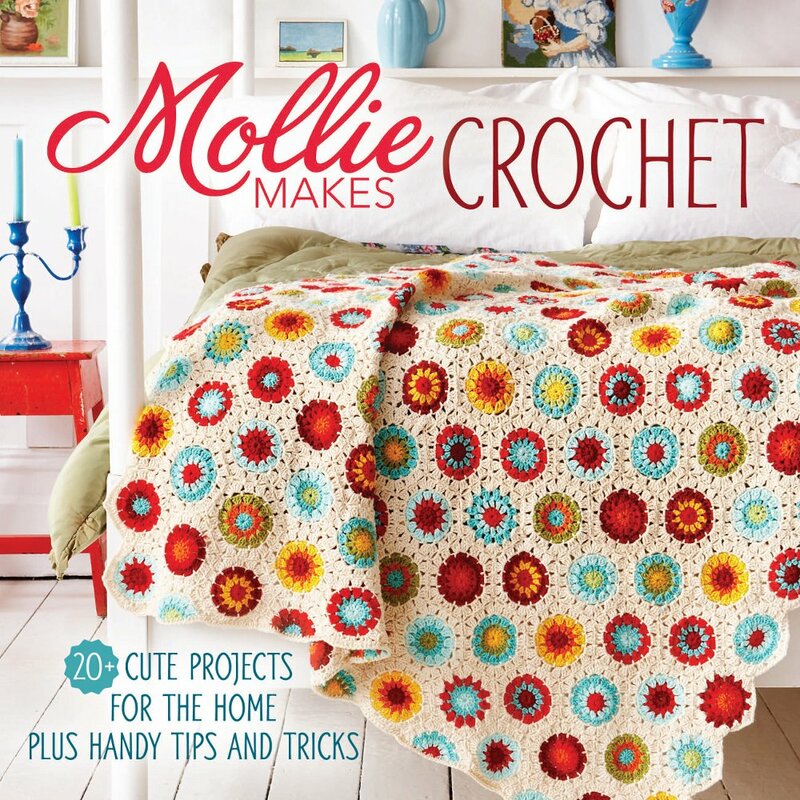 For April, the winner will receive a copy of Molly Makes Crochet, published by Interweave Press. Finally, will I be stitching along with all of you? Oh YES! If you remember from a previous post, I have way too many WIPs at the moment, so I look forward to using the next three months to finish what I can. Now, some of those WIPs may become future patterns, so I can’t spill the beans too much, but I’ll share what I can over the next 91 days. Okay – On your marks, get set – STITCH!!! I’m just tuning into your blog from the NatCroMo event. So a little clarification is needed. I read the past blog posts but I’m still a bit confused. 1. Is this just for WIPs we already have started prior to today? 2. I think I saw where we can have more than one? 2. Do we need to register them all at once or can we register one, finish it and register another? You have some great questions and I will do my best to answer them fully. 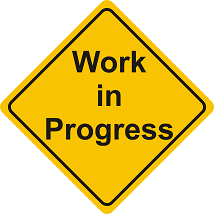 1) Yes, I am trying to limit this to projects that have already been started prior to April 1, 2015. Part of the reason for the CAL/KAL is to help us finish some of those WIPs so we can actually enjoy what we have made. 2a & 2b) Yes, you can have more that one WIP registered during the three month time period. Ideally, you will register one at a time. When you have completed one WIP, you are extremely welcome to register another WIP. I think that registering one WIP at a time will help in actually finishing the project, which is the ultimate goal of this CAL/KAL. It is okay to register more than one at a time, but only completed projects will be eligible for the monthly drawing. I hope you will join us, Amanda, and I look forward to seeing what you will create! So I made a Ravelry project page for it and tried to include all of the info. So I have one I wanted to finish before the end of March so I could move on. But did I get it done. Nope. Got some good books read thought. Feed my kids, and got some other stuff done. But I want to finish this one. I have full 2 skeins left, plus the one I am pulling from and the trim color. I will have to do an updated picture. But otherwise that’s it. New pics are posted just today. Two entries for the book – Amanda and Kate! Not much time left for this month, but you can always set your sights on winning in May or June!